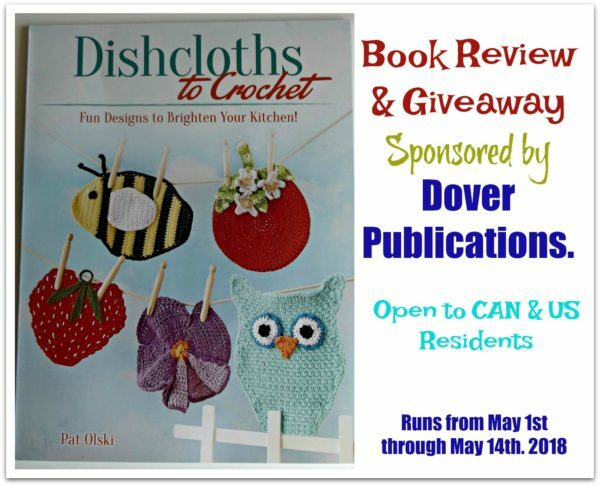 Here is another new book from Dover Publications entitled Dishcloths to Crochet by Pat Olski. The book contains 25 patterns for adorable and fun dishcloths that you’ll enjoy displaying in your kitchen throughout the year, especially in the summer months. This book review and giveaway is sponsored by Dover Publications. I received a free copy of this book to do the review. All opinions are my own. Two winners will receive a copy of the new book Dishcloths to Crochet. Giveaway is open to US and CAN residents, age 18 and over, and runs through May 14th, 2018. The patterns range from beginner to experienced skill levels, making it great for kids and adults to work on. As for materials, some require a medium weight cotton, while others call for a crochet thread. In addition to these fabulous dishcloth patterns, the book also provides you with instructions on how to modify these cheerful designs into potholders. How cool is this Dandy Daffodil? I just love the realistic looking petals. It measures 6″x8.5″, making it great for adding to placemats, table runners, or even as a wall hanging for your kitchen. The pattern calls for Lion Brand Yarns 24/7 Cotton. Another favorite is the Cute Cosmos flower. It measures 8″ in diameter, which is a nice big dishcloth if you like them big. 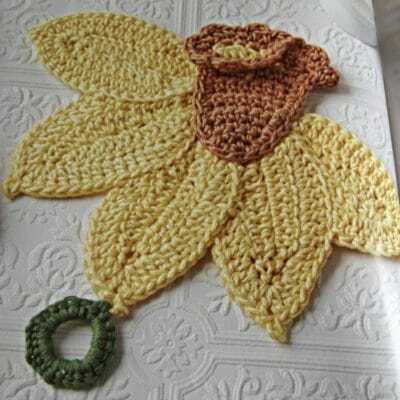 But, I would totally use this as a doily, table mat or as a plant mat. The pattern calls for Premier Yarns Home Cotton. 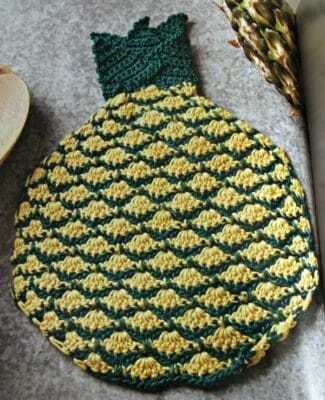 The last one I want to show you is the Plucky Pineapple. This one is on the small size with a measurement of 6.75″x4.5″. I like my dishcloths on the small side, so this one would be perfect for my liking. And it too would be perfect for an applique on a placemat or table runner. 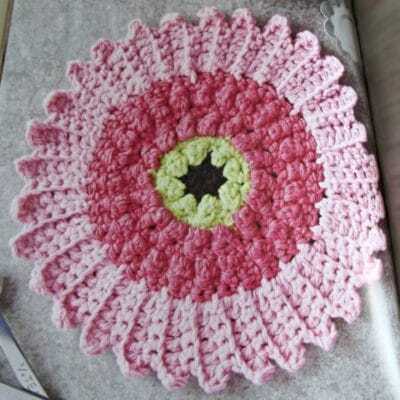 You will need a size 10 crochet thread to to make this beauty.